Written in 1912, F. W. L. Sladen’s The Humble Bee – his study of bumblebees, is something of a famous classic. 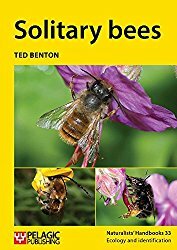 Although much of our thinking and understanding of bumblebees has moved on since Sladen’s time (and yes, there is much we do not know and more to be discovered), nevertheless, it is a lovely old book, written by a man who seems to have been deeply involved in his work, committed and passionate about his subject. Please be aware, the book can be a little slow to download. Click on the button below to download the book (opens a new window). Whilst you are waiting, why not read on? Also, why not take a look at the links at the bottom of the page – there is a link to a free book about beekeeping. Why Humble Bees and not Bumblebees? At the time Sladen wrote his book, bumblebees were still largely referred to as ‘humble bees’. This was also the name used by Charles Darwin. Over time, the term ‘humble bee’ seems to have disappeared, and by the time another classic, ‘Bumblebees’ by John Free and Colin Butler was published in 1959, it term apparently faded from use altogether. "Everybody knows the burly, good-natured bumble-bee. Clothed in her lovely coat of fur, she is the life of the gay garden as well as of the modestly blooming wayside as she eagerly hums from flower to flower, diligently collecting nectar and pollen from the break to the close of day. Her methodical movements indicate the busy life she leads - a life as wonderful and interesting in many of its details as that of the honey-bee, about which so much has been written. Her load completed, she speeds away to her home. Here, in midsummer, dwells a populous and thriving colony of humble-bees. The details of the way in which this busy community came into being, what sort of edifice the inhabitants have built, how they carry out their duties, and what eventually will become of them will be explained later : it is enough at present to note that the colony, like a hive of honey-bees, consists chiefly of workers, small modified females, whose function in life is not to give birth but to labour for the establishment, bringing home and depositing in cells load after load of sweets, their only relaxation from this arduoustoil being domestic work, such as tending the young,building the comb, and keeping the nest clean and tidy”.